/ What Is The Best Aquarium Gravel Cleaner For Your Tank? In this article we will take a look at some of the best aquarium gravel cleaners available. Regularly cleaning your gravel can have a dramatic effect on the appearance of your tank and the health of its inhabitants. We will discuss why it is important to clean your gravel and then review several different options you can choose from when purchasing an aquarium gravel cleaner. Why Should I Clean My Gravel? Your aquarium’s gravel can be seen as similar to the floor of your home but with some major differences. The gravel in your tank collects debris in the same way that your floors collect dirt, dust and other materials that needs to be periodically removed. In the case of your home, the cleaning performed is primarily to maintain a room’s appearance. While your tank’s appearance is certainly a factor to consider when cleaning its gravel, there are more important reasons to keep your tank clean. The resident fish and plants need to be taken into account and keeping the substrate clean can have a major impact on the health and vitality of these organisms. The gravel in your aquarium will be the foundation on which your aquascape is created. You want it to look good but you also want it to maintain good aquarium health. Fish waste, uneaten food and decaying plant matter can all collect on the gravel’s surface. This leads to unsightly deposits that need to be removed. Since there is always some space between the individual pieces of gravel, some of these unwanted materials can find their way deep into the gravel bed. As they decay these materials can generate ammonia and other gases toxic to your fish, leading to increased disease and fish loss. The decaying debris can also wreak havoc on your tank’s PH causing problems for your fish and plants. Regularly cleaning your gravel can minimize these problems and lead to a beautiful and healthy aquarium. You always have the option of transferring your fish to temporary quarters and completely breaking down your tank to give it a thorough cleaning. This entails having a second tank ready and a lot of manual labor as you remove all the substrate. It will also put your fish through some unnecessary stress. A good gravel cleaner will allow you to take care of your gravel without these extra concerns. What Is A Gravel Cleaner? Simply put, a gravel cleaner is a tool that assists you in cleaning your tank’s gravel. As we have seen this is an important aspect of aquarium maintenance. Once you have decided against removing all of the fish there are two distinct methods to choose from when cleaning your gravel. You can do it without removing any of your aquarium’s water or your gravel can be cleaned at the same time you perform a water change. A variety of tools are available for both scenarios. If you desire to clean your gravel without removing any water there are several battery powered aquarium vacuums that will do a fine job of cleaning your gravel. Water will be siphoned into the vacuum tube and then passed through a filter bag which will trap the debris. The water returns to your aquarium after this filtration occurs so there is no water loss during cleaning. Using this kind of tool lets you clean your gravel at any time and not need to coordinate to coincide with a water change. This is a major point in favor of this style gravel cleaner. A potential drawback is that extremely small particles will not be captured in the filter bag and are then returned into your aquarium suspended in the aquarium’s water. The use of these vacuums will never replace the benefits of a good water change and they are best used to keep things clean between those changes. Regular water changes are essential to a healthy aquarium. Gravel cleaning is vital as well. 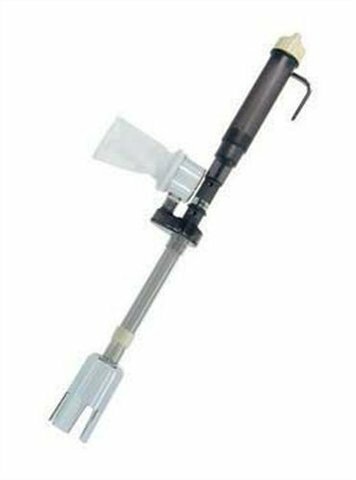 There are numerous siphon style gravel cleaners that allow you to perform both functions at the same time. The majority of these tools require that you also have a bucket ready for the water you are removing. If doing a large water change you may need to start and stop several times in order to remove the proper amount of water which may involve re-priming the siphon. There are some systems that will enable you to hook up your gravel cleaner directly to your sink negating the need for a bucket. You can reverse the flow on these units and use them to add water to your aquarium when you are finished cleaning. The drawback to siphon style gravel cleaners is that you will always be removing water. This may limit the amount of cleaning you can do as you will not want to take out more water than recommended for your tank in a regular water change. You can get around this issue by cleaning a portion of your tank with each water change until you get it all and then repeating in sequence. A decisive advantage of cleaning your gravel in this manner is that all decaying debris no matter how small will be captured in the siphon and removed from your tank. So then on one hand we have ease of use with perhaps a little less thorough water cleanliness and a lot less work. The alternative gives us better gravel cleaning capabilities but does entail some thought regarding water changes and perhaps the addition of a bucket. You can decide which is best for your needs. We will look at a few different offerings currently on the market. Here are some of the best choices you will find when looking for an aquarium gravel cleaner. The SunGrow Aquarium Cleaning Pump Kit is one of the easiest ways to keep your aquarium clean. Say goodbye to scooping up your aquarium’s dirty water. Perfect for both salt and freshwater tanks, this hand controlled pump will help keep your aquarium’s sand or gravel clean and your fish healthy. Ideal for a 10-gallon aquarium or smaller, the SunGrow Aquarium Cleaning Pump Kit will be more than enough pump to keep your gravel tank clean, as well as switch out water during water changes. The easy to use design, partnered with the hand-controlled pump, give you the precision you require to keep the bottom of your aquarium clean. The pump sets up in less than 2 minutes, and once you start the suctioning, all you need to do is leave the nozzle in the tank. The no-spill system will keep the surrounding area clean, along with your aquarium. Once your aquarium is clean, the portable design allows you to easily store the pump practically anywhere. You can’t argue with a clean aquarium and easy storage! The Dora Corner Store 2.10 Inch Vacuum Water Siphon is a great option for any aquarium containing gravel. It’s long 2.10” cylinder suction tube, partnered with the extra long 56” flexible drainage hose, make this one of the most durable aquarium vacuums on the market. What makes it even better is that it is 100% BPA free, which means that any plants or fish you may have in your aquarium are going to be safe during the entire vacuuming process. The self-priming vacuum makes water changes and aquarium cleanings as easy as can be. Being designed for aquariums between 15 and 30 gallons, you will be able to evacuate any debris from the gravel, as well as keep your tank clean through regular water changes. The Dora Corner Store 2.10 Inch Vacuum Water Siphon is an overall good vacuum if you have an aquarium of 30 gallons or less. The gravel filtration system helps to keep the bottom of your tank clean, while eliminating dirty water at the same time. If you are looking for a pump to get your mid-size aquarium-cleaning job done, this is an excellent choice! 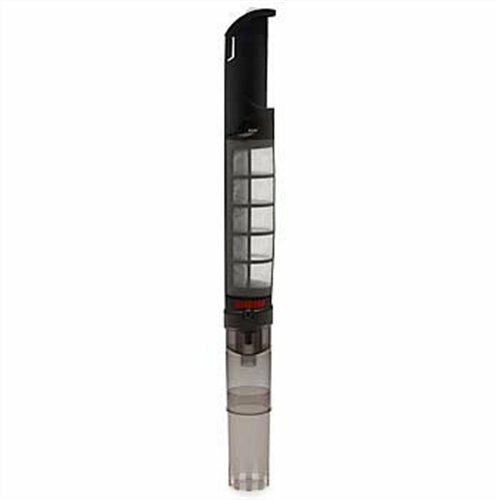 The TERA PUMP Aquarium Cleaner is a gravel or sand tank cleaner that comes with an extra long nozzle. On top of that, the additional water flow controller makes for easy cleaning and water drainage from your tank. Being one of the more commonly counterfeited aquarium vacuum pumps, the TERA PUMP has proven itself over and over again. With two different types of vacuum nozzles included, the shorter one works better for draining your aquarium, while the longer nozzle is perfect for cleaning the leftover fish food and droppings in the fine gravel at the bottom. The TERA PUMP allows you to remove any waste that may be present within your aquarium, while replacing the dirty water at the same time. And with it’s unique design, you can rest assured that your plants and fish will not be harmed while the pump is in use. 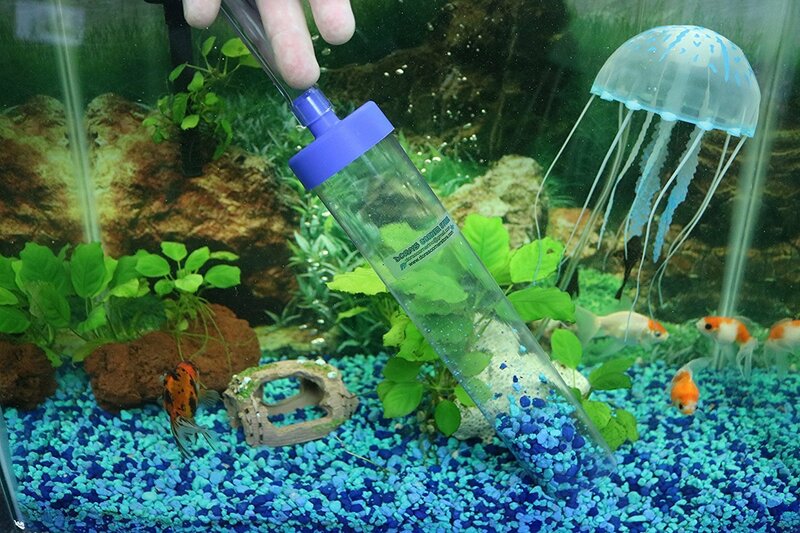 If you have a small to mid-size aquarium, the Genuine TERA PUMP Aquarium Cleaner has the power and features to get your tank clean, and your water switched out. While not necessarily equipped to handle sand, if you have a gravel based aquarium, this is one of the better vacuums available on the market. The Marina Easy Clean Gravel Cleaner is just that. It is an aquarium cleaner that has specifically designed to clean deep down into your gravel aquarium. With powerful suction and vacuum sizes ranging from mini, all the way to large, no matter what size your gravel bottomed aquarium is, the Marina Easy Clean Gravel Cleaner has you covered. The Eheim Quick Vac Pro is a battery operated aquarium vacuum. It enables you to clean your gravel without regard to water changes. It is safe for use in fresh or saltwater tanks that are a minimum of 12 inches deep. Rather than using a filter bag, this vacuum employs a filter compartment inside the unit that is designed to be removed and cleaned between uses. Eheim promises up to 4 hour battery life under continuous use and is guaranteed for two years. Batteries are include with your purchase. The Quick Vac Pro will clean the gravel without disturbing your gravel too much. This vacuum is not recommended for very fine gravel or sand as it can potentially get into the motor and harm the unit. Koller Craft manufactures a line of aquarium products named Pet TOM. Included in these products is another battery powered aquarium vacuum called Mr. Cleaner. It is powered by two “C” size batteries which are not included. This vacuum uses a removable filter bag that should be cleaned thoroughly between uses. Some users have had issues with the suction provided by the unit but an ingenious aquarist has posted this video which will help address the problem. This is an inexpensive unit that is not really appropriate for larger tanks but will work well for nano and other small tanks. A difference between this and the above-mentioned Eheim is that this unit is not meant to be totally submerged. It is expandable from 8 to 16 inches to allow for better functionality in a variety of sized tanks. This gravel cleaner by Fluval is designed to work with their Edge line of aquariums. It is also perfect for any small to medium sized aquarium. A bucket is needed as this tool removes water from your tank while cleaning the gravel. It features an easy-start valve that lets you get the water flowing with an easy up and down motion inside the tank. The Edge Gravel Cleaner comes with two cleaning attachments. There is a gravel head to allow for deep cleaning. A slimmer nozzle will let you get to hard to reach areas of your tank and can be helpful when cleaning around plants or decorations. Gravel is prevented from clogging the tube by a gravel guard. This unit is more expensive than your other options but does a very good job of keeping your gravel clean. It is essentially a hang on the back power filter with the addition of a gravel cleaning tube. Available in two sizes to suit the depth of your tank, this unique design features a reusable filter cartridge. 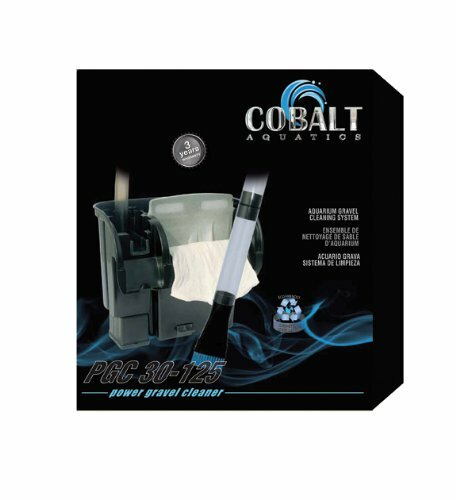 Each filter comes with two siphon tubes that can be adjusted and allows this unit to be used on essentially any size aquarium. An intake screen keeps the gravel where it belongs and not in the filter. Just hang this unit on your aquarium and you can clean your gravel at any time. Unfortunately, the Cobalt Aquatics Power Gravel Cleaner out of stock now. Instead, you should consider Dora's Corner Store Gravel Cleaner. This Gravel Cleaner is suitable 10 - 30 gal tanks. It's not only easy to vacuum & clean tanks with or without gravel but also very durable. Dora's Corner Store Gravel Cleaner made of quality plastic and made in USA PA free. This is a basic siphon type gravel cleaner that has some features that make it stand out from the crowd. It features a wide nozzle which lets you clean more of your tank at a time. Hose clips are included which securely attach the hose to your aquarium and bucket eliminating those nasty spills. A self starting siphon gets the water moving easily and this tool does a great job of separating debris from your gravel and removing it from your tank. It is available in many sizes to suit any tank. 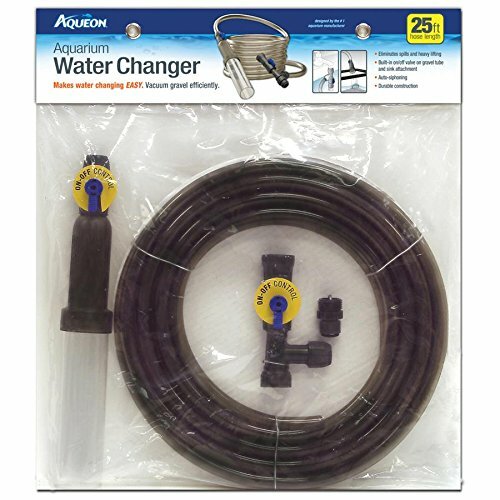 Though sold as a water changer this device by Aqueon is also a great gravel cleaner. The need for a bucket is eliminated as the unit comes equipped with adapters for your sink. Dirty water is pulled from the tank and emptied directly into the sink. You can easily reverse the flow and refill your tank through the same hoses. This can be very helpful for larger tanks that would require multiple buckets to empty and many gallons to refill. Hoses are available in 25 and 50 foot lengths which should ample to reach your tank. The Python is another system designed to both clean your gravel and refill your aquarium. It operates in a similar fashion to the Aqueon Water Changer in that it hooks up directly to your sink and makes carrying those heavy buckets across the room a thing of the past. 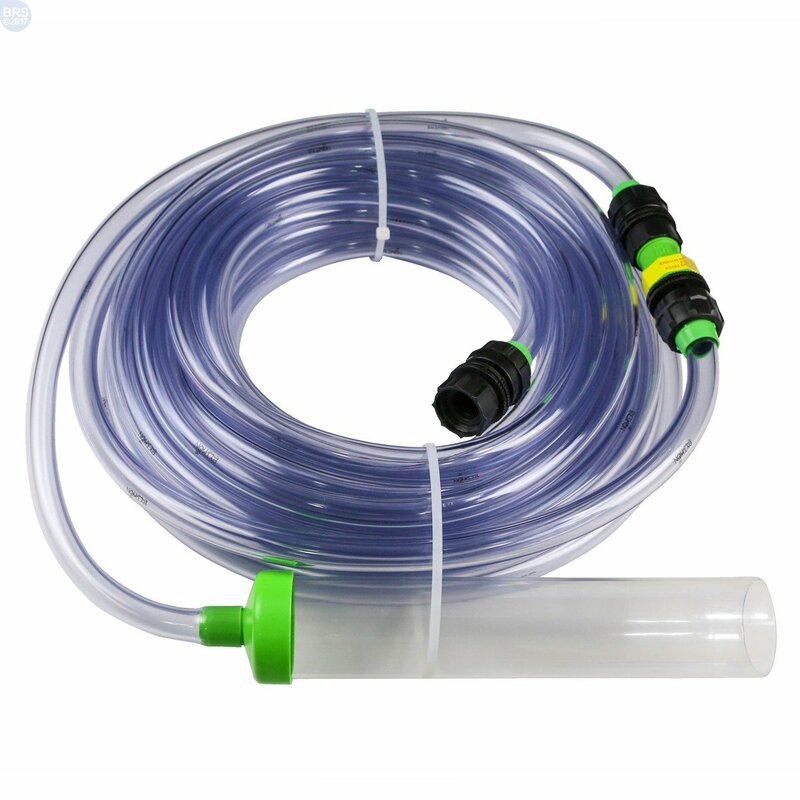 A 25 foot hose is included and extensions can be obtained in 10 and 20 foot increments to enable you to use this system on any tank in your house. The faucet adapter is made of brass so will never rust or break. The Python is ideal for large tanks and will make those water changes much more easy to tolerate. Gravel cleaning should be a regular part of your aquarium maintenance schedule. As we have seen there are a number of options available to you in performing this important task. Your decision on which type of unit to buy may be determined by the size and location of your aquarium. Small aquariums can be handled with cleaners designed to be used with or without the inclusion of a water change. Larger aquariums can be spot cleaned with a battery vacuum. If you are planning to do large scale cleaning combined with a water change then you probably want to go with a product that combines the two functions. That being said I would recommend the Eheim Quick Vac Pro for small tanks and spot cleaning. Personally I prefer to remove water as I clean the gravel to obtain the cleanest water and gravel that I can get. For larger tanks the Python system is an excellent choice. I have used this unit on 55 and 75 gallon tanks and it has worked as advertised making gravel cleaning and water changes easy to perform.